Buy and earn 65 points valued at £0.65. Lying just on the edge of the Speyside boundary, interestingly Glendronach is officially classed as a Highland malt. 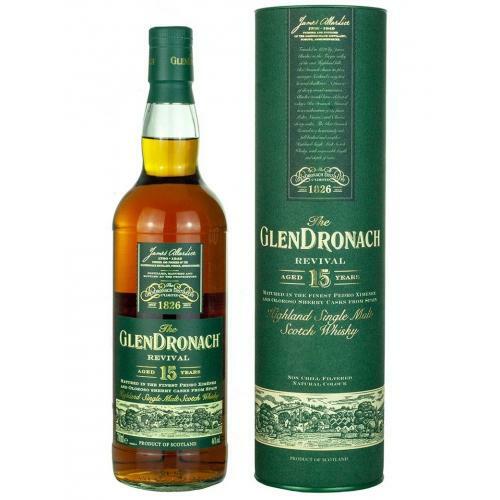 A full bodied single malt, the GlenDronach 15 year old Revival has been matured in the finest Oloroso Sherry casks, is non chill filtered and of natural colour. 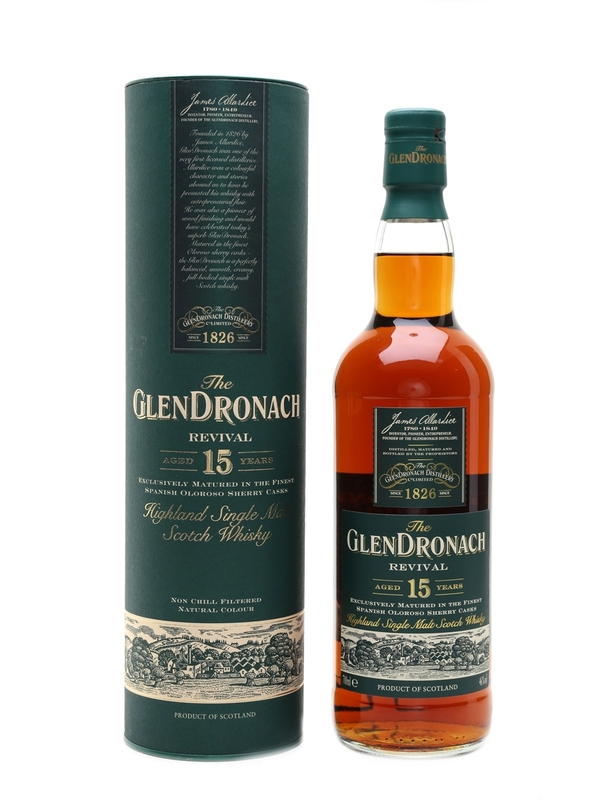 The revived Glendronach Revival: a whisky whose original incarnation was so popular that we drank all of it. It's back with a new recipe thanks to master blender Rachel Barrie, combining both oloroso and PX casks into a rich sherry-monster that's packed with spice and fruit! Nose: Fruit cake with softly singed raisins, and solidly soaked in bittersweet dark rum. Baked apples with plump raisins, brown sugar and cinnamon. Palate: Rich,with rum-soaked raisins, prunes and a touch of chopped date. More warmth comes from nutmeg and cinnamon with sticks of black liquorice. More savoury than the nose, focusing on fruit cake and rich dark chocolate. Finish: Raisins and dates linger.